Boxpark Shoreditch opened in 2011 as the world’s first pop-up mall. It has grown from strength to strength in the past years and is now a popular destination for street food in London with venues in Shoreditch, Croydon and Wembley. Greek food specialists which have grown rapidly due their immense popularity. 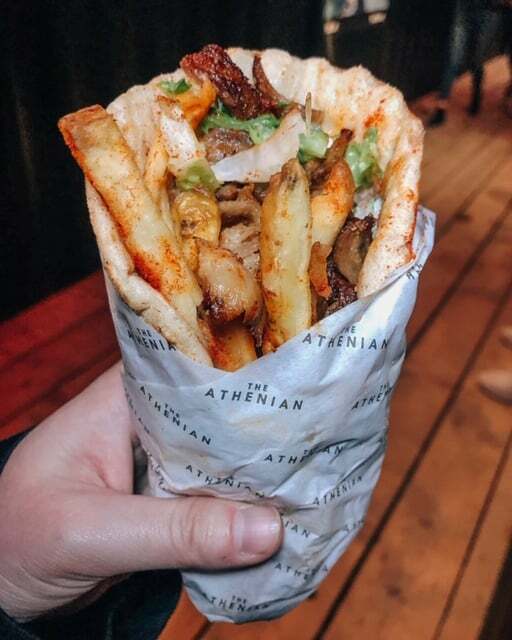 Offering souvlaki and gyros at reasonable prices, they have become a bit of a staple in London. We love the Pork Gryos and the Beef and Lamb Souvlaki, of course with added halloumi! 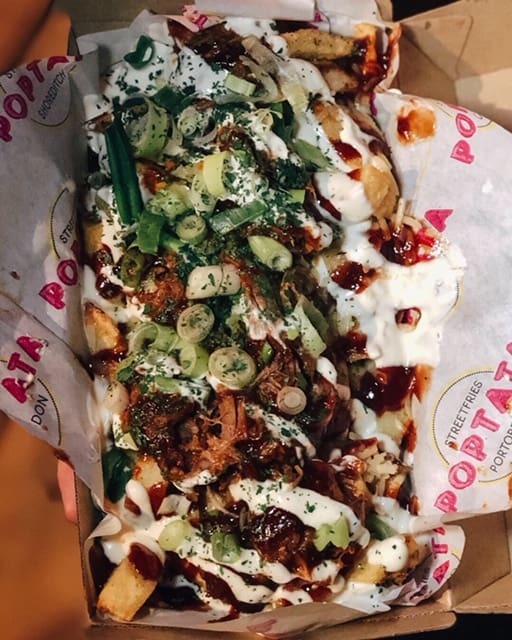 Poptata is all about loaded fries and they have so many to choose from! 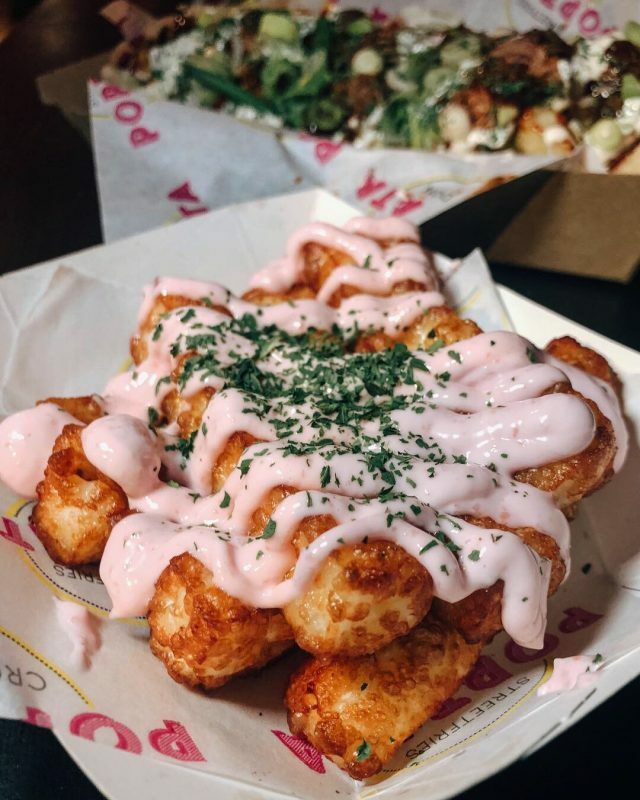 Their halloumi fries (£6) with a choice of sauce (go for the pink garlic mayo!) are a must order. They are a really decent portion size for the price and so mourish. We also loved the loaded fries with pulled pork, bbq sauce, cheddar, sour cream and spring onion. They don’t scrimp on the “loaded” part! Coqfighter offer some of the best fried chicken burgers and wings in London. 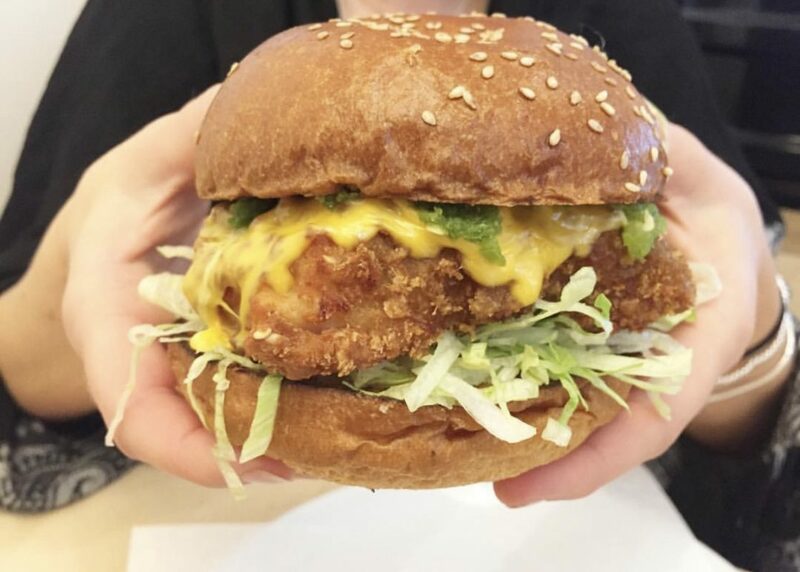 We love the Green Chilli Cheese: Fried chicken thigh, shredded iceberg, pickled green chilli, american cheese, chipotle mayo (£9). Definitely has a kick but such a delicious and tender burger. These guys are in my top 5 burgers in London. 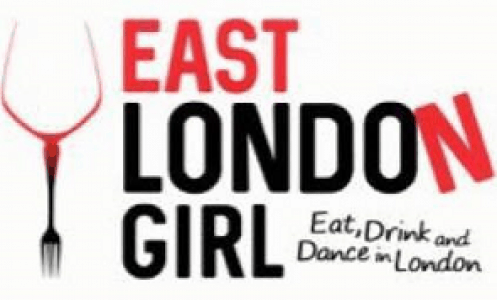 Starting in Broadway Market and appearing on Million Pound Menu, they serve great burgers in Boxpark. 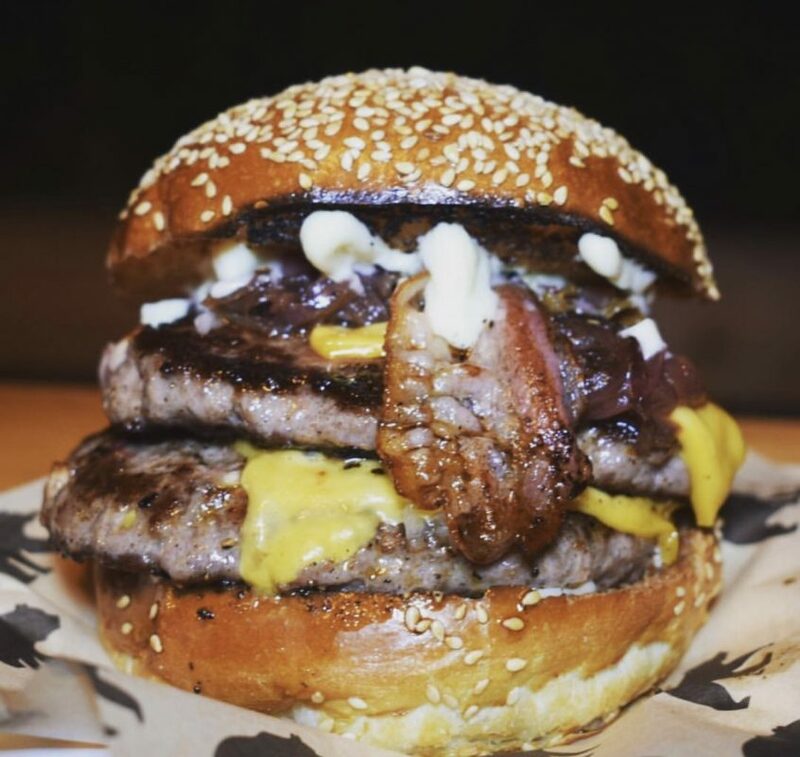 The Black Bear classic is served with Aged Beef Patty, American Cheese, Onion Jam, Pancetta Bacon and Garlic Mayo (£10) and melts in your mouth. We also loved the Brisket Burger with Aged Beef Patty, American Cheese, Pulled Beef Brisket, Pickled Red Onions and Garlic Mayo (£10). In short, get your bum down to Boxpark for some great street food in London!